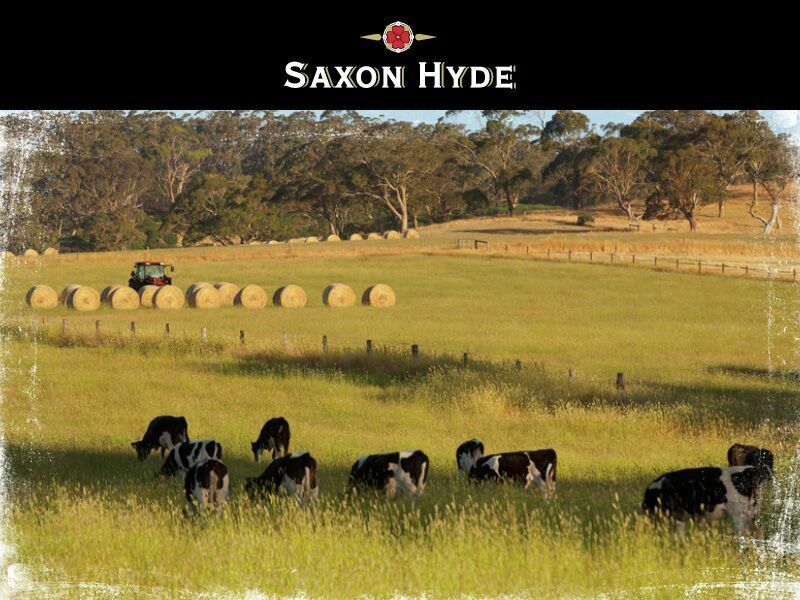 Saxon Hyde is a premium country estate in a beautiful Adelaide Hills setting. Allotment sizes are designed for ease of maintenance, yet large enough for; children's imagination, your own veggie patch, a pool, chooks and of course the fur-kids, but most importantly....an opportunity to create the home of your dreams. 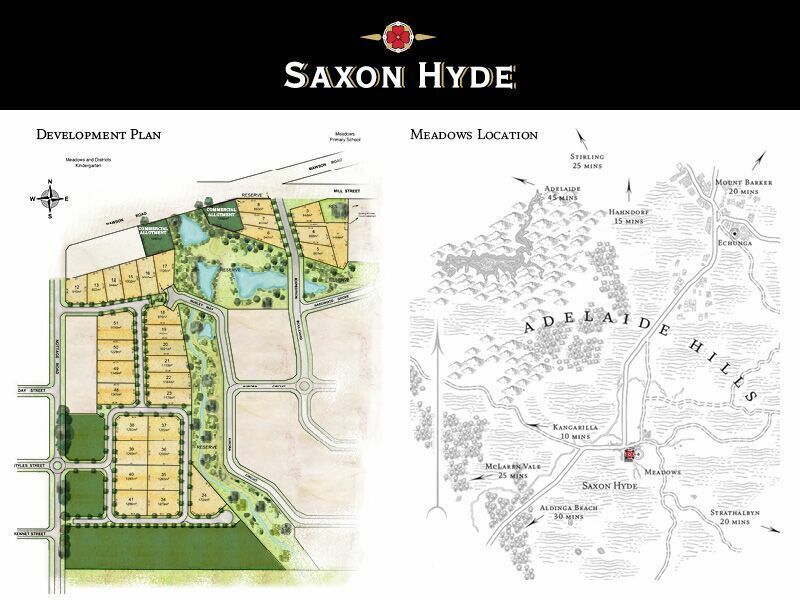 The landscaping of Saxon Hyde will create a picturesque backdrop for your home and family life over the four seasons. Saxon Hyde is mainly flat land so this will mean you can direct more of your budget to your home rather than preparing the land to build on. Services include underground power, sewer and Class A water (recycles) for your garden - this means you can keep your garden watered all year round without having to spend on precious drinking water. While there are setbacks I place for all blocks to create a picture-perfect streetscape for the Saxon Hyde community, there are no building envelopes, no retaining wall requirements and no Land Management Agreement. Saxon Hyde will not require you to build within any timeframe. 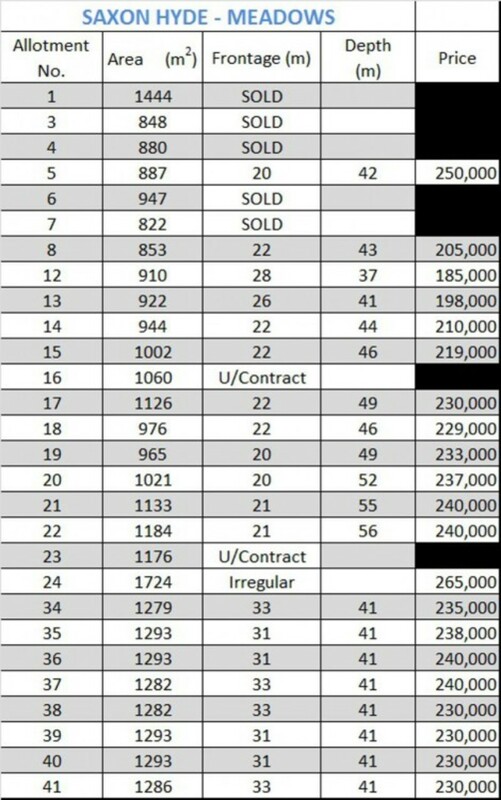 You may build now or anytime in the future. Good sized flat allotments are very sought after and they will sell quickly so don't be disappointed and call now to secure one of the best new home sites in Meadows.